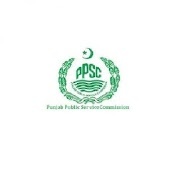 PPSC Computer Operator Result 2019 Written Testas the names of the successful candidates are mentioned here. PPSC Computer Operator written test 2019 was conducted on 17-03-2019. The call up letters for typing test will be issued to the students and they will also be informed through email and SMS. You Can Get PPSC Merit List here.